1.Always Use Firefox: Internet Explorer is the most popular browser on the market, controlling over 50% of the market share. The virus and adware creators specifically look for exploitable vulnerabilities within IE because they know that they will receive the best return on investment. Your switch to Firefox prevents some adware from infecting your machine. 2. Scan your PC Everyweek: Sometimes adware programmers take a sneaky approach. They will set up their programs to run quietly in the background to spy upon your activities. This once a week scan is necessary to remove any of those sneaky bugs. 3. Download from known Websites: New sites for installing adware are popping up all the time. If you find something that you want to download, make sure that it is from a known site. A company like Amazon will not steer you wrong, but Bob’s House of Wares might be a little less trustable. If you are not sure whether you can trust a site, perform a quick search. 4. Install Ad-ware: Ad-ware is the most popular free ad-ware removal program on the market. It detects, quarantines and removes ad-ware. It searches for other programs which may have been installed, highlighting them in an easy to use interface. 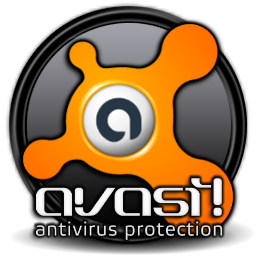 This program does not have an anti-virus attached. 5. Do not click on unsolicited email: You are constantly receiving offers to increase this or improve that through unsolicited email. Your curiosity may be killing you, but don’t click on these emails. They accept your click as permission to install ad-ware, spy ware and malware on your PC. 9. Do not click on popups: Clicking on a pop-up usually spells certain doom for your computer. It opens the door for the viruses and adware that want to infect your machine, telling these malicious applications to make themselves at home. Stay away from those constantly advertised screensavers and icons. 10.Trust your gut: If you don’t feel right about a site, don’t go there. If you are receiving warnings from the antivirus and antiadware programs which you’ve installed, don’t go there. If you don’t like the layout of a site, don’t go there. Trust your instincts about sites. With proper vigilance, you can keep aggravating adware, spyware and malware from your system. Trust your instincts. Install Ad-Aware and an antivirus program. Play it safe. The time you spend in preventing adware from infecting your machine can save money and time.